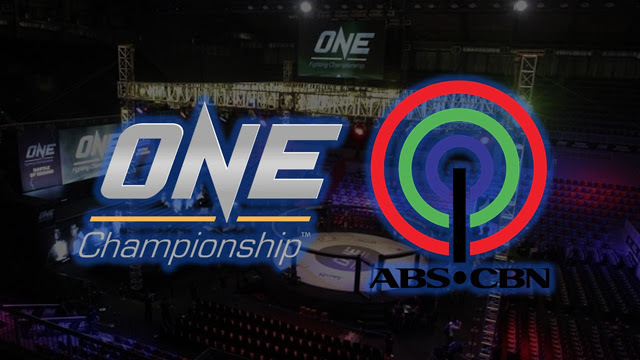 28 June 2017 – Manila, Philippines: The largest sports media property in Asian history, ONE Championship™ (ONE), has just announced that the company has renewed its partnership with ABS-CBN, the Philippines’ leading media and entertainment organization. The multimedia conglomerate, with a reach that spans the entire nation and millions of homes all around the globe, will have access to all ONE Championship content, including live events in the Philippines. ONE Championship is the largest sports media property in Asian history and the largest media broadcast in Asia, streamed to a potential one billion homes in over 118 countries worldwide. Among the best Asian martial artists and world champions in ONE Championship are Filipino athletes who have exemplified courage and honor inside the ONE Championship cage. ONE Championship and ABS-CBN initially commenced their monumental partnership in 2016, resulting in a successful year filled with memorable mixed martial arts (MMA) events across the region. In 2017, the two global giants have continued to enjoy incredible success, highlighted by one of the most watched sporting events in Asian history, ONE: KINGS OF DESTINY which took place last April. The event achieved the highest rating of any martial arts program and edged out live 2017 NBA Playoffs coverage in the Philippines, according to Nielsen Sports. Both ONE Championship and ABS-CBN are poised to continue this tremendous collaboration for an extended period.